Expanding the monetary base can and has caused significant inflation historically.The truth is that credit long ago became a larger factor in inflation than did actual money in circulation. While the monetary base has expanded, credit has contracted. So much so that the fed’s massive QE programs have effectively offset the loss of credit banks are willing or able to issue. This has helped to keep the price of goods stable and may have caused an inflation or “wealth” effect for real assets. 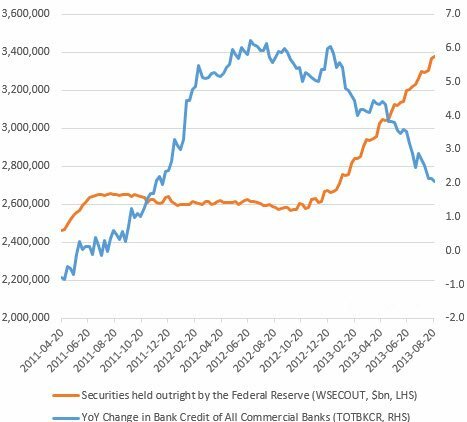 See the image below demonstrating the expansion of the Fed’s balance sheet in red even as credit in blue has dropped. The Fed’s monetary injections certainly helped to stabilized bank credit, but did not cause it to expand dramatically, which has offset the inflationary effects of expanding the monetary base. If the economy continues to grow, credit expansion is likely to improve and it’s possible that some kind of significant inflation may follow at that point. 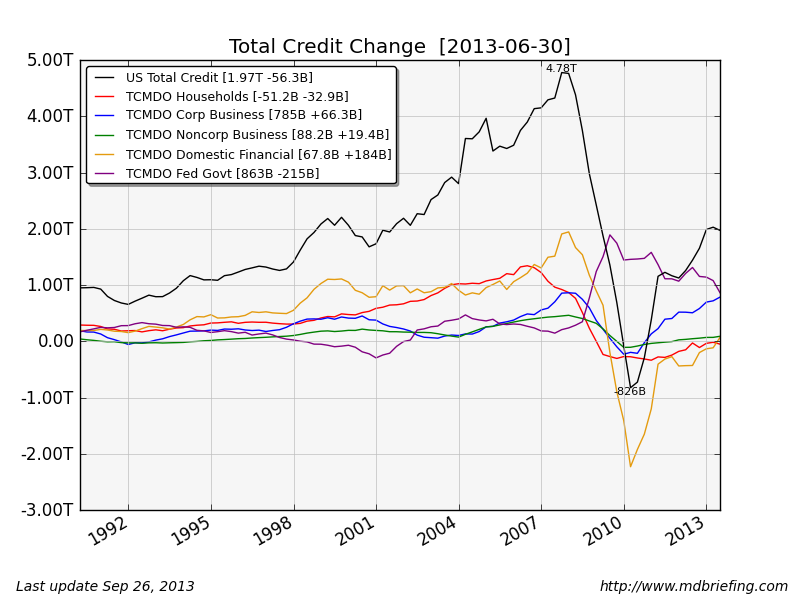 The chart below shows the contraction of credit from several sources or the total credit of the United States.